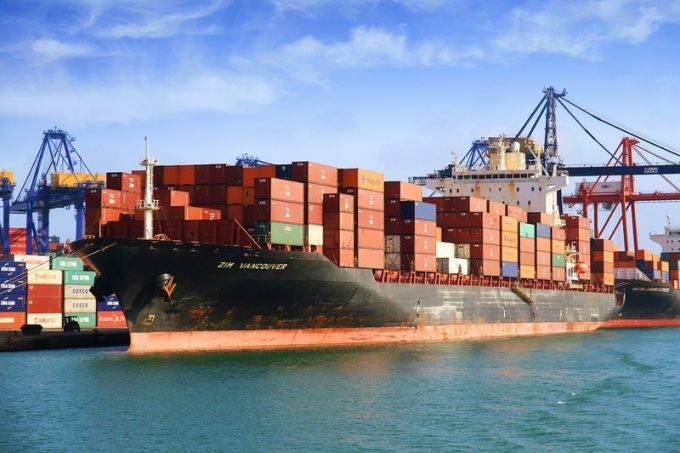 While container shipping lines face soaring operational costs, recent signs that they are preparing to suspend services in light of weakening demand suggest vessel charter rates could also come under pressure. According to new analysis from Drewry Maritime Research, daily vessel charter rates have “fallen slightly over the past few weeks as carriers have reacted to the red ink by suspending a number of services, releasing some ships back to the open market, but they remain significantly higher than a year ago”. Drewry’s figures show that, in the first quarter of this year, charter rates across all sizes were up 50% year on year and gained further in April and May “to approach heights last seen in mid-2015, with daily prices for classic panamax ships being fixed for around $13,000, according to broker reports”. But while shipowners may have welcomed a stronger charter market, Drewry warned it also posed a considerable challenge to their business model. “The financial losses being incurred by ocean carriers should be a concern to independent owners,” it said. “The risk of default on a charter contract rises when your customers are in the red. “While we do not envision a repeat of Hanjin Shipping’s bankruptcy, prolonged losses do raise the chances of carriers off-hiring chartered ships upon contract expiry,” it added. However, it also suggested that non-operating shipowners may be more insulated from carriers’ financial difficulties than before, as many of their vessels are deployed on trades that are seeing strong volumes and where carriers have few options in terms of vessel sizes and types. For example, the Asia-Australasia trade is dominated by vessels in the 4,000 teu classic panama range, which is currently seeing a volume growth of 6.5%, while the westbound Asia-Europe trade is dominated by carrier-owned ULCVs and has seen volumes decline 1%. Carrier plans to introduce larger vessels onto Asia-Australasia loops could undermine this, however. “Because the charter market is more heavily weighted towards smaller and intermediate-sized ships, oversupply of bigger units is more isolated to trades where owned ships dominate,” said Drewry. Carriers have adopted very different chartering strategies. Drewry said some 2,450 serving box ships were owned by non-operating owners, amounting to 9.6m teu and representing 44% of the world fleet. MSC has the “largest pool of chartered ships, with nearly 400 units aggregating 1.8m teu, representing approximately 57% of its total operated fleet”. But both Zim and Yang Ming have chartered a higher proportion of their fleets: 72% and 64%, respectively. “Having a large charter composition is not necessarily a bad thing,” noted Drewry. “Some carriers simply prefer the flexibility to dip in and out of trades when it suits them, while also avoiding the initial capital outlay of purchasing ships.